I managed to watch some One Piece today, and as much as I can’t wait to finish the Sky Island Arc, I am still in the middle of it. Thankfully, I am now in the battle between Enel and Luffy. Everyone thought that Enel is tough to beat. Actually, he is. Being a Logia Fruit user, he is really powerful. Then, he also has a terrifying elemental ability – that of lightning. He can toast people quite easily. Then, enter Luffy. 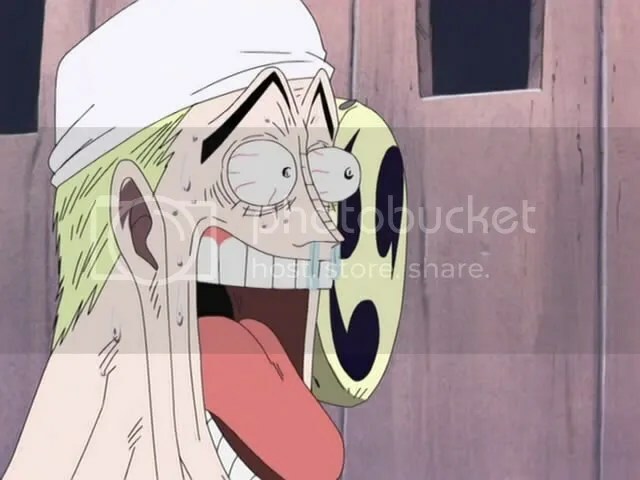 When they first met, with Luffy being all hot-headed for Enel just roasted his crewmates, Enel greeted Luffy with a powerful electric shock. 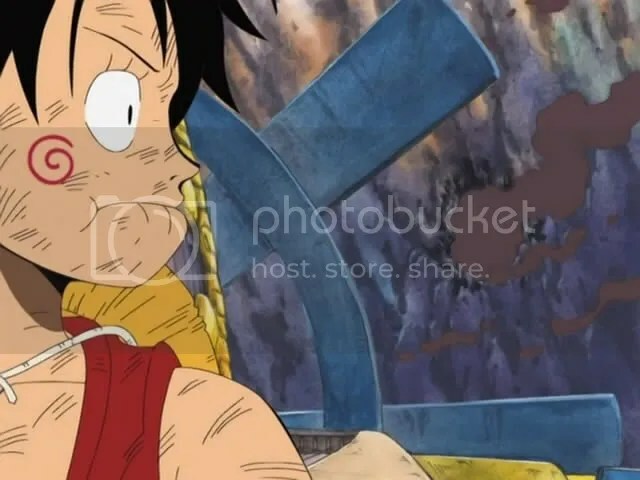 Luffy seemed surprised at the damage it caused. He seemed alright. Almost everyone thought that he managed to dodge the attack – specially Enel, who proceeded to attack him with continuously increasing voltage. 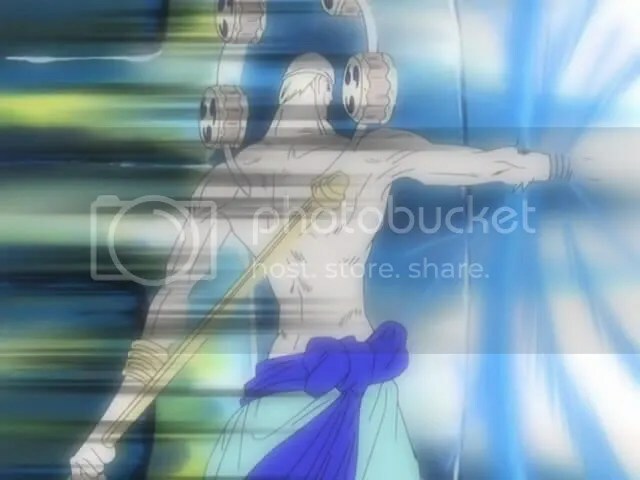 When Enel cannot accept the fact that Luffy seems to be able to keep dodging his powerful attacks, he teleported to him, grabbed him, and zapped Luffy with an immense bolt of lightning. Apparently, sky island has no rubber trees. Therefore, they have no rubber. Luffy seemed to be the perfect opponent for him. Well, Enel got his composure and resulted to one of his other skills – mantra and his fighting abilities. Later on in the fight, Enel made use of his lightning skills to melt gold and craft stuff out of it. 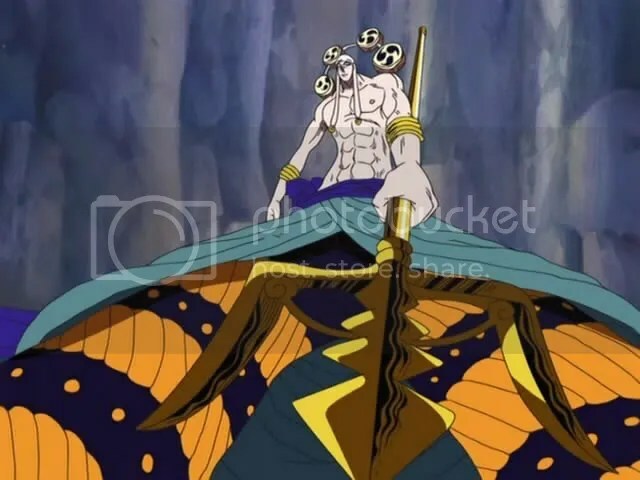 He first turned his staff to a trident, which he used against Luffy. If electricity won’t work, cutting him up will, Enel figured. 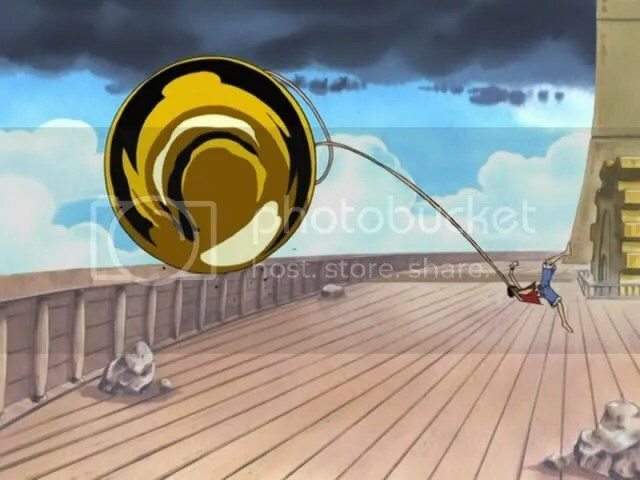 And when Enel got tired of fighting Luffy, he gave him a “gift” in the form of a giant, golden ball which he crafted onto Luffy’s arm, and kicked him off the ship. At least Enel was able to rise above his “God can’t be beaten” shock, and managed to improvise and beat Luffy. Well, not really beat him – but got rid of him, for now, while he wreak havoc and despair to the rest of sky island. Posted in review.Tagged anime, enel, fight, gold, luffy, one piece, review, sky island, trident. Previous Post How do I do this?